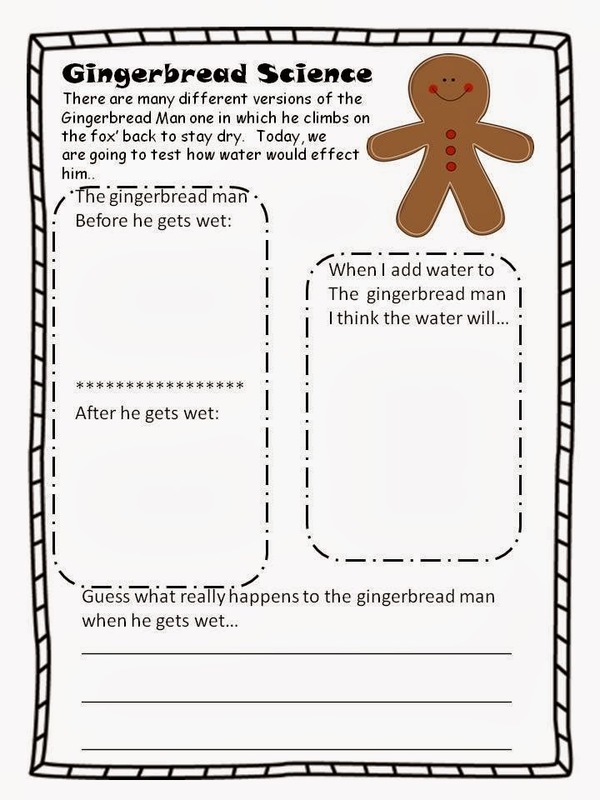 The gingerbread man has made many sightings here at our school. Our kindergartners have made traps to catch him...they are very creative with their building. However, as the kiddos started to get older and wiser about their design... check out the around the corner so he can't see us design by a second grade team...it works! 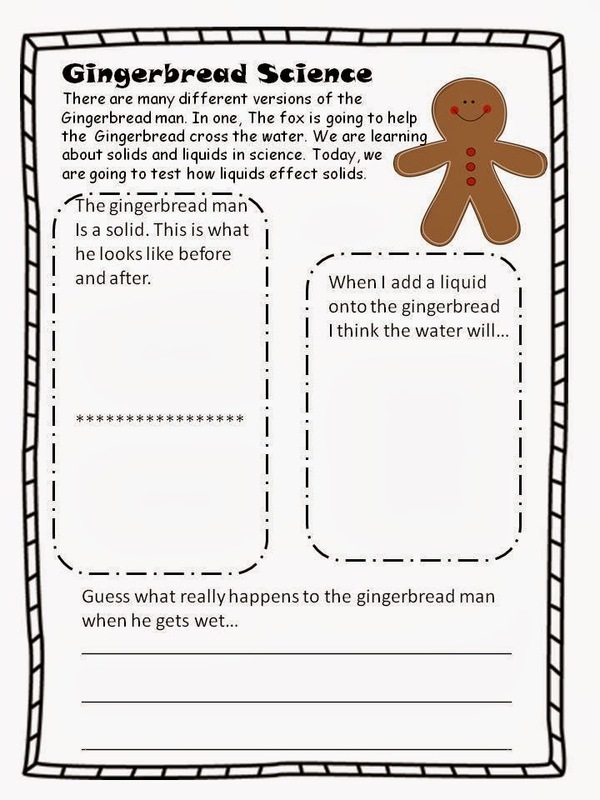 Our second graders are learning about solids and liquids so I made some FOSS connection sheets for them to tie in the gingerbread man to FOSS. 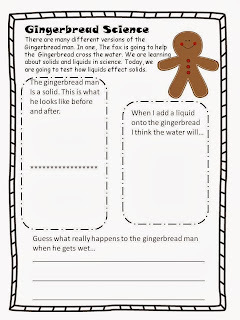 I also connected our 3rd grade FOSS to gingerbread by having our kiddos work with our gingerbread and what would happen to him if the fox had gotten him wet.